To prevent failures like the Equifax breach, Carnegie Mellon’s Mary Shaw suggested that the software engineering field must move beyond the ‘frontier mentality’ and employ levels of assurance that will ensure public health, safety and welfare. 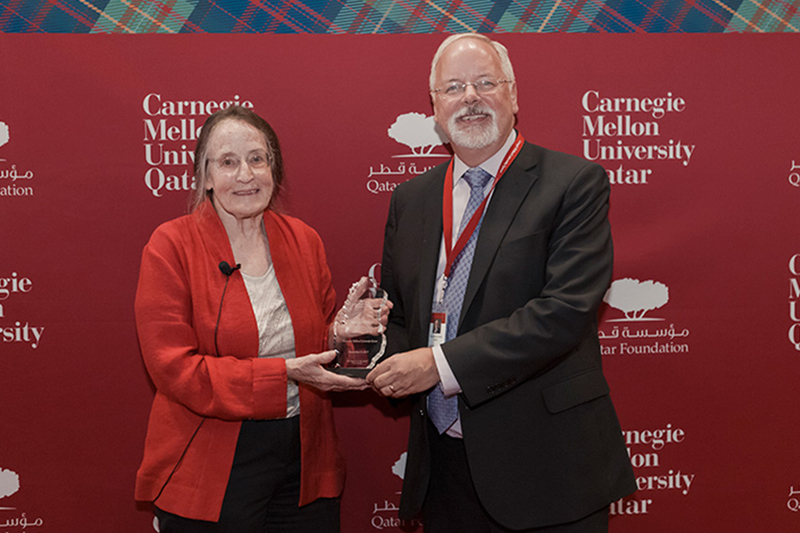 Shaw, who is the Alan J. Perlis University Professor of Computer Science in the Institute for Software Research at Carnegie Mellon University, spoke as part of the Distinguished Lecture Series at Carnegie Mellon University in Qatar. Shaw highlighted the extraordinary growth of the software engineering field, which began in 1968, by contrasting it with the history of civil engineering. She outlined how an engineering field begins as a craft, then, facing the challenges of production and commerce, begins to incorporate codified knowledge to become a professional practice. Professor Shaw is a leader in software engineering research, whose work on software architecture helped establish it as a recognized discipline. Selecting an appropriate architecture is now recognized as a critical step in the engineering of complex software systems. Shaw’s presentation is the first A. Nico Habermann Distinguished Lecture in Computer Science for the 2017-18 academic year. The Distinguished Lecture Series features academic experts with backgrounds in a wide variety of disciplines. Distinguished lectures in computer science are named after A. Nico Habermann, a pioneer of computer science and the founding dean of the School of Computer Science at Carnegie Mellon University.